The Columbus Insurance Market offers affordable insurance in Columbus Ohio. We are a independent insurance agency which means we represent multiple Ohio insurance companies. We can shop your auto, home, business, life, and health insurance coverage with all the insurance companies that our insurance agency represents. Independent insurance agents excel at offering a variety of products, finding the right markets for the right clients and providing unparalleled service. We have been offering insurance in Ohio since 2004. 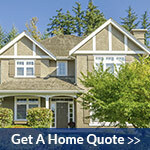 Try our online comparative rater to get 5 quotes at once on your auto and home insurance. Looking for other types of insurance? We offer more than any other Insurance agency in Ohio! Life Insurance- Plan for the unexpected. 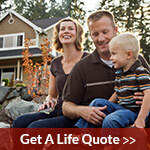 How much life insurance coverage does your family need? Renters Insurance- Protect your belongings from fire, theft, and more with a renters policy. 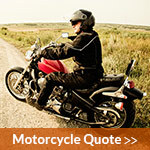 Motorcycle Insurance- Customs, Choppers, Cruisers, Street Bikes we've got you covered. 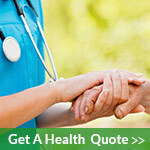 Health Insurance- Help protect yourself from unforeseen medical expenses. We offer HSA, PPO, MMO. You can request policy customer service online by clicking here. To contact us click here.